Join us on June 1st for this FUN community event! We’d love for you to run, walk, volunteer, or CHEER on participants at our 5K Road & Cross Country Race, supporting the York Hospital Recovery Center..."Running for Recovery". 3.1 miles of scenic York Village and York Harbor, including the Wiggly Bridge. Fun for all as runners cross finish line - with free food and drinks, face painting, bean bag tossing, hot & iced coffee and healthy fruit! PRIZES for every category and MEDALS for all: MEN & WOMEN Age Categories - 10 and under; 11-13 yrs; 14-17 yrs; 18-29 yrs; 30-39 yrs; 40-49 yrs; 50-54 yrs; 55-59 yrs; 60-64 yrs; 65-69 yrs; 70-74; 75-79; 80 and over. Hospital employees & course walker categories too! 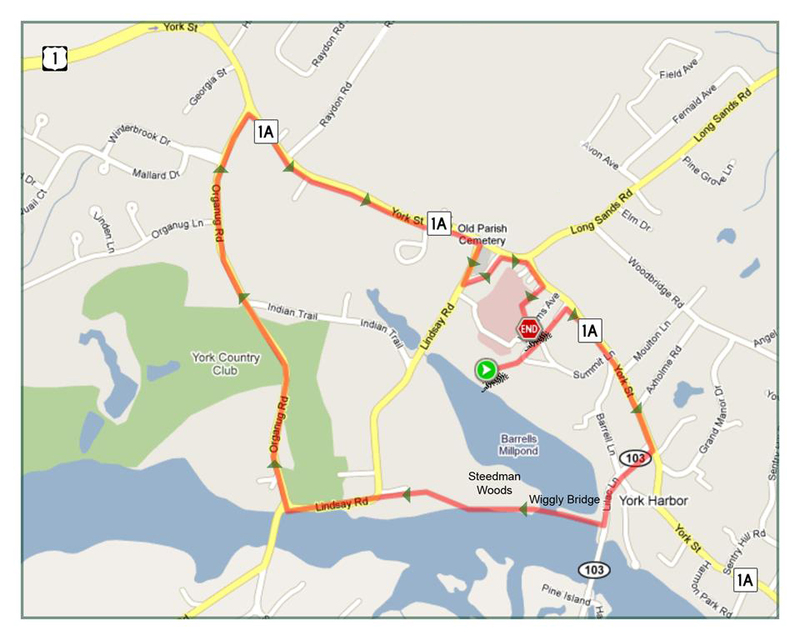 3.1 miles of scenic York Village & York Harbor...including the Wiggly Bridge! Each family member must complete a registration.